Why Don't Museums Like To Talk About Money? Conversations with colleagues (in North America, as well as Europe and Asia) had me thinking about some of the things we, as museum and design professionals, don't like to talk about. So let's talk a little about money. Even after spending my entire professional life working in museums, I still can remember my immigrant paternal grandfather's bewilderment at my career choice. "Why do you want to work in museums? Museums are for rich people!" he would often say to me. And despite the strides that museums have made over the past 30 years, deep down I think my Grandpa Orselli knew more than I gave him credit for. One dirty little secret we don't like to share with the public is that there really is no such thing as a financially self-sustaining museum. Museums are a classic "bad business model." So we try to make up for our constant money shortfalls by rattling our collective tin cups to shake down donors (both private and governmental) or pimping ourselves out with off-mission events and programs that, at times, barely separate our institutions from glorified catering halls. How many times have museums put up with just downright crazy and seriously off-mission ideas from a donor (or even potential donor!) because we were so desperate for their money? It's bad enough for an art museum like the Met to get into bed with corrosive robber barons like the Kochs, but when science museums(!) link up with the biggest funders of groups denying climate change science, something is seriously out of whack. Well isn't that just a reality of the not-for-profit world of museums? 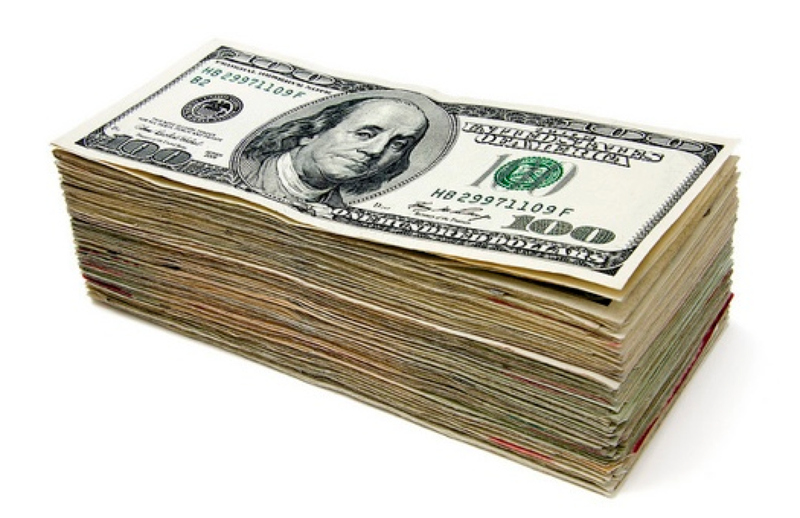 Since we rely on outside funders, can we afford (literally!) to upset our donors? That, my friends, is part of the slimy, slippery slope of the museum world that even I wish we didn't have to acknowledge. But the only way to change that stupid system is to acknowledge and discuss it, and drag it out into the harsh light of public scrutiny, instead of continuing to rationalize and avoid it. So I say bravo to the folks behind The Natural History Museum! I hope your open letter upsets lots of people and makes taking money from dubious donors a topic for discussing and not dissembling. Kyrie Kellett, an exhibit and program developer at the Oregon Museum of Science and Industry (OMSI) in Portland, Oregon was kind enough to share this guest post about the National Science Foundation funded "Science on the Move" project. 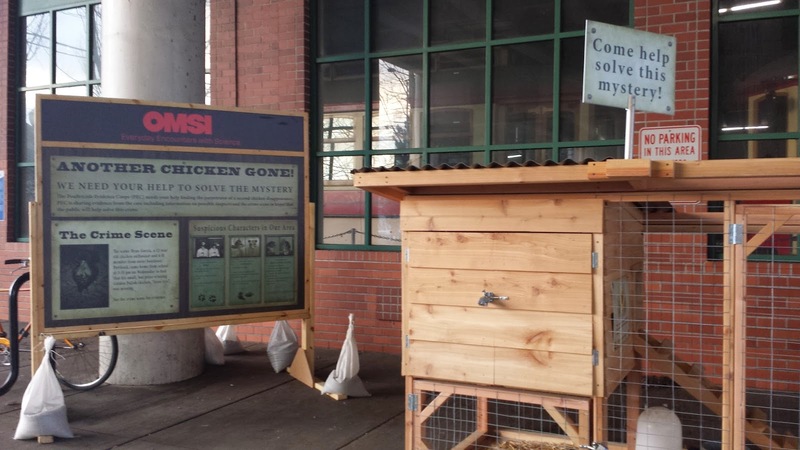 Pictured above is the Chicken Scene Investigation (CSI) prototype at the Rose Quarter Transit Center in Portland. What do you remember about your day? Your commute? Your neighborhood? For me, the things that catch my attention are the experiences that seem out of place, novel, silly, or just plain weird. That’s what the Science on the Move (NSF DRL-1222659) project wanted to play with. How would people respond to a science exhibit at a light rail station or busy bus depot? In a museum we expect to see the extraordinary, but while waiting for the bus? Would people be interested? What would catch their attention? Would they understand that it was about science? Would science turn them off? To research these ideas, my colleagues at OMSI and I created two prototype exhibits and worked with the local transit authority to set them up at busy transit centers, one near the central city and one in a lower-income suburb. We then used design-based research to iteratively improve the exhibits and our model for how people interacted with the exhibits. What did we find? Lots of interesting things! For example, we found that the OMSI logo was a big draw. When people of all ages, income levels, and from all parts of the region saw OMSI, they figured it would be fun and wanted to participate. They were not scared off by the possibility of “science” at all. That said, even though the exhibits were from OMSI, many people didn’t explicitly connect their experiences with science. Since the exhibits were not in a science center, it took a lot more work to connect chicken coops and special effects to science or technology than if visitors were in the museum expecting to learn about STEM topics. Our next step with this project is to start more conversations in the museum community about how and why we should (or shouldn’t) be experimenting with taking our exhibits outside of museums and into unexpected places. Have something to share or want to collaborate? Please contact me at: kkellett@omsi.edu. 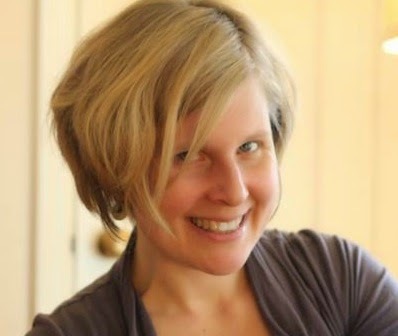 Kyrie Kellett is a senior exhibit and program developer at the Oregon Museum of Science and Industry (OMSI) in Portland, Oregon. She has worked on a variety of federally-funded projects related to sustainability, inclusion, and new approaches to informal science education. George Mayer is the Vice President - Business Development for Kubik Maltbie, Inc., a 54 year old fabricator of museum exhibits based in Mount Laurel, NJ. George began his career “on the boards” designing commercial interiors, architectural signage and commercial exhibits. For the past 29 years he has been involved in developing new business in the museum sector. He began his work at Maltbie in 1986, and left in 2002 to start up a museum business at Art Guild, Inc. He returned to Maltbie (now Kubik Maltbie) in 2010. His list of major projects includes: Nauticus: The National Maritime Center, Fort Discovery National Science Center, and Gettysburg National Military Park and Visitor Center, but there are many more projects of a smaller scale that are just as significant. He is a sometimes writer, sometimes conference speaker, and sometimes guitar player, but he is consistently passionate about developing new business and building successful, sustainable museum projects. We are happy George was able to share his thoughts in this interview for ExhibiTricks. What’s your educational background? I have a Bachelor of Fine Arts Degree from William Paterson University, Wayne, NJ. My degree is in theatrical Scenic and Lighting Design. What that means (and any person ever associated with the theater life know this) is that I earned my degree by working nights and weekends fueled by coffee and Big Macs. You know how when you’re so enthralled by something that you can’t stay away from it? That was me in theater. A great hands-on education that somehow resulted in a degree with honors. What got you interested in Museums? I’ve been building things since I was a kid – forts, tunnels, log cabins, airplane models, miniature stage sets. Those interests led me to theater. During my later college years, I woke up one morning and realized how tough it was going to be to make a living in the theater, so I shifted my focus to exhibits. I started my career as a designer of commercial interiors and trade show exhibits at first. I found that work to be quite unfulfilling, so I shifted my focus to museums. Museum exhibitions are a lot like sets – great design, cool lighting, and an audience (visitors). But museum exhibits are better than stage sets, because, aside from having achieved something artistic and creative, and three-dimensional, the educational component has the potential to make the world a better place by raising up people's awareness of the world around them. What are the changes you see in how museums manage projects now compared to several years ago? I’d like to say that I like the trend that I see, but it seems that almost every project that we see now is on such a short deadline that they are becoming harder to do. When I first started in the fabrication of museum exhibits, most projects were on very do-able schedules, and I wonder if now there’s an inference drawn from the fact that we can send a document to someone in a millisecond and that that translates into doing their project in a millisecond. What prompted you to help form Praxis Museum Projects Group? Praxis began as a small business networking group about 10 years ago. There were four of us then, all working in the production or technical side of the museum exhibit business. We’d get together over lunch or dinner and shoot the breeze about the state of the industry, upcoming project opportunities, and other information. During AAM in Seattle last year, I approached the others with the idea that we should consider making our group more of a real “thing”...a group that could offer a prospective client a full range of project services, just add design. We all agreed, and set about approaching people in other specialties who we already knew, or who we knew to be among the best at what they do. After some months of defining what the group would do and be, we formed Praxis Museum Projects Group. We’re still an informal entity, we don’t work exclusively with one another, but we do exchange information on best practices, on what our individual specialties are, on upcoming projects, etc. Our key watch-phrase is “where and when appropriate”, meaning that no one has to share trade secrets or betray a NDA in order to be in the group. Just bring your best game and contribute something that elevates the conversation about our business. For me, I like to have people to bounce ideas off of and Praxis is some of those people. Tell us a little bit about how your “non-museum” skills/activities inform your exhibit fabrication work? I’m always on the look-out for new ways of doing things, particularly as the exhibit world becomes more accessible and interactive. I find them in books, in hardware stores, in my grandkids toys (usually pretty engaging and “bullet proof”). What are some of your favorite online (or offline!) resources for people interested in finding out about the intersection between movement and museums. I believe that museums themselves are the best resource that we can look to. We spend so much time looking at screens – for learning, for information gathering, for socializing. As professionals in the museum world, we have access to information that most people don’t. But really, I would tend to look outside of our industry, and I would recommend that to anyone seeking any kind of information about anything – look outside, look away from what you do. Take in other information and process it and find ways to apply it to your own circumstances/situation. What are the ways you think about making your projects accessible to the widest range of visitors? Since we are not designers, we are usually in response mode. We build what others have designed or dreamed up. The good news is that we often have input into the technical engineering and final detailing of those dreams, so to a large extent some of the detailing and engineering decisions have a direct impact on issues such as longevity, durability, safety, and accessibility. What do you think is the “next frontier” for museums? I don’t know what it WILL be, but I can say what I think would be great – that is finding better ways to get kids (and other human people) really engaged in their museum visits. Maker Spaces are a wonderful step in that direction, but to truly BE the scientist, or to BE the historian, or to BE the artist by offering more immersive and interactive environments and activities that provide a whole experience is what I’d like to have a part in creating. What are some of your favorite museums or exhibitions? Currently my favorite exhibition is one that we built. It’s the Behring Hall of Mammals at the National Museum of Natural History in DC. The designer (Reich + Petch) did such an extraordinary job of designing a contemporary, clean approach to viewing large mammals. It’s been open for 6 or 7 years and I haven’t seen anything like it anywhere else. My next favorite is the First Division Museum at Cantigny in Wheaton, IL. The exhibits tell the story of the Army’s First Infantry Division in strikingly realistic and theatrical detail. I was so impressed by the level of detail, the immersion into trenches and foxholes – it awakened the “theater” in me. Can you talk a little about some of your current projects? We are so fortunate right now to be working on a number of interesting projects, both domestically and overseas. The “My Body” gallery at the Konya Science Center (Konya, Turkey) is a 5,000 square foot exhibition designed by LSC Experience Services and is about to ship and will be completed in early May. We’re also working with Lee H. Skolnick Architecture + Design Partnership on the exhibits for Muzeiko – The Children’s Museum in Sofia, Bulgaria that will open this summer and includes about 15,000 SF of exhibits. We are just about to open the North Wing Expansion at the Corning Museum of Glass, a contemporary glass gallery. And, we are just starting a small project in Northern Virginia – the Children’s Science Center LAB designed by Alchemy Studio. The LAB is being fit-out in a former Pizzeria Uno in the Fair Oaks Mall, Fairfax, VA, and is a kind of preview space for what CSC plans to build in the future. The DoSeum (San Antonio children’s Museum) designed by Argyle Design is in the final stages of installation and opens in June. I already have the outline and conceptual design for it, but money is not the object. The object is (drumroll please) …politics! It’s a very large-scale traveling exhibition called The Beatles Anthology Experience! – 25,000 square feet of Beatles history with immersive environments and static artifact cases, but also interactive exhibits that teach about creativity, language (song writing), math (music is math), and tenacity. Here’s some background: Over a period beginning in 1996, Apple Corps, Limited, the company that The Beatles formed in the late 60's, began releasing the Anthology series of media - first the CD's, then the DVD's, and finally the book in 2000. It struck me that, while this triad of media is fabulous, it is all very passive…listen, watch, or read. There is no interaction, no engagement, and what it needs in order for Anthology to be a complete experience for fans was The Beatles brought to "life" and in three dimensions; an immersive environment that takes visitors on a complete journey through The Beatles' history from July 1957 when John Lennon met Paul McCartney at a church fair, through their last live performance on the roof-top of their Saville Row building in London. Nothing could have made any more sense as a name than The Beatles Anthology Experience!...the fourth part in a series of well-produced, spectacularly popular media by the band that is still the most popular act in history. Despite having assembled a great creative team, access to funding, support from Apple Corps and thumbs-up meetings with Paul, Yoko, and Olivia Harrison, the project is…..sleeping, hence the dream. 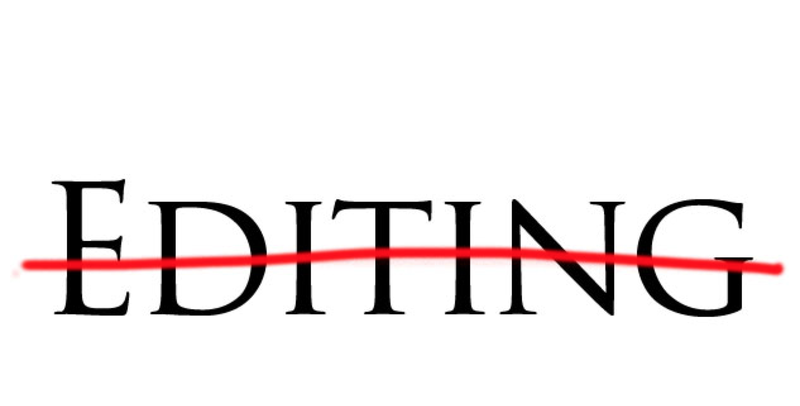 I've been jetting all around the United States these days for my museum consulting practice and after recently visiting two new museums, I was reminded of the power of "exhibition editing." There's a tendency for folks that are new(er) to developing museum exhibits to want to jam as many concepts (or objects or exhibit components ...) into a space as possible. It's almost as if they don't trust their ideas to carry the visitors along and instead feel that more of EVERYTHING would be better. It's natural when imagining a new empty museum building or exhibition gallery to feel compelled to fill the spaces and walls with stuff (and museums have lots of stuff!) but your visitors will be better served if you take a step back and resist that urge. • BEFORE OPENING: What's the Big Idea? Which are the essential parts of your exhibition's story arc that can't be removed? Keep those and junk the rest. (Click here to see a recent post on keeping to the Big Idea.) This is especially important when your exhibition ideas are tied to large objects or component sets that can't be easily moved (or removed!) after opening. • DURING INSTALLATION: Be on the watch for duplicate sets of materials or too many loose parts. This is a common problem in Maker/Tinker type spaces --- does every work station need a complete set of markers, colored pencils, cutting devices, and glues, or could you cluster these things in materials stations to reduce the clutter and chaos? Similarly many Children's Museums or Early Learner exhibition areas have Puppet Theater components --- but do you need multiple complete sets of puppet figures (like fantasy figures or animals) instead of rotating through one thematic set at a time? • AFTER OPENING: Evaluate (and edit) by observation. Set aside time to watch your visitors move throughout your exhibition. Are there "dead spots" where nobody ends up? What could you shift around physically, or conceptually, to change those traffic patterns? Similarly, if certain exhibits seem constantly overcrowded are there ways to either duplicate the materials and concepts, or split them up to spread out the visitor interactions? Of course, exhibition editing should be an ongoing and iterative process. Remember the words attributed to an anonymous Exhibit Developer: Create without fear; edit without mercy!